This amazing restaurant looks like a giant nest floating on the pool of the Mar Adentro Hotel in Mexico. 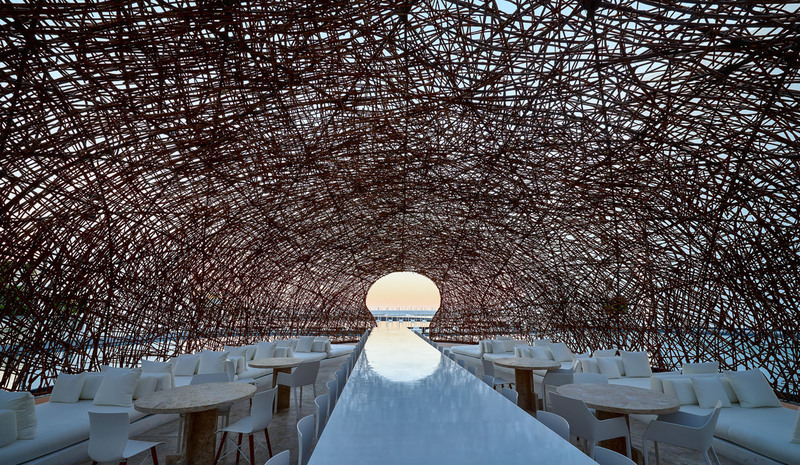 Architect Miguel Ángel Aragonés placed the restaurant below the water level and covered it with a woven, egg-shaped roof that appears to be constructed with nothing but twigs. “Nido”, which translates to “nest” in English, is one of three restaurants at the striking Mar Adentro Hotel in San José del Cabo, Mexico. Mimicking bird nests one might find in nature, the restaurant looks like an otherworldly structure surrounded by water. A network of walkways connect the pool, hotel and restaurant and create a beautiful promenade from which people can take in the architecture. The interior of the nest is surprisingly simple, with chairs, bar tables and lounges designed as minimalist pieces. Visually, the furniture doesn’t compete with the roof structure. Instead, it complements it with subtle textures and patterns. 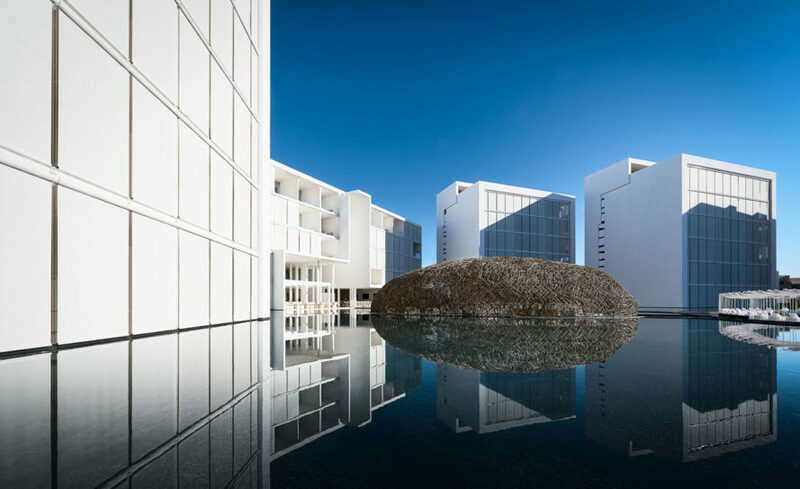 The structure, named "Nido" which translates to "nest" in English, is one of the three restaurants of the minimalist Mar Adentro Hotel in San José del Cabo, Mexico. Mimicking bird nests one might find in nature, the restaurant looks like an otherworldly structure surrounded by water. A network of walkways connect the pool, hotel and restaurant and create a beautiful promenade from which people can take in the architecture. The interior of the nest is surprisingly simple, with chairs, bar tables, lounges designed as minimalist pieces. Visually, the furniture doesn't compete with the roof structure. Instead, it complements it and accentuates its subtle textures and patterns.